pag77 wrote: makondo, thank you! on FF 55.0.2 - 64; thanks! These appear on the bottom of my main context menu and do not appear at all in the menu wizard page. Thank you for the add-on. It makes Firefox so much less cluttered. I hope you bring it over to webextensions! How does that help? It doesn't allow me to select/inspect Chrome elements. i sorted it out after it failed several versions ago, not sure if it was v50. it had more convenience but nowerdays i am more familiar with the inspector even in chromium. What kind of mistake are you talking about? About that some menus are not active? 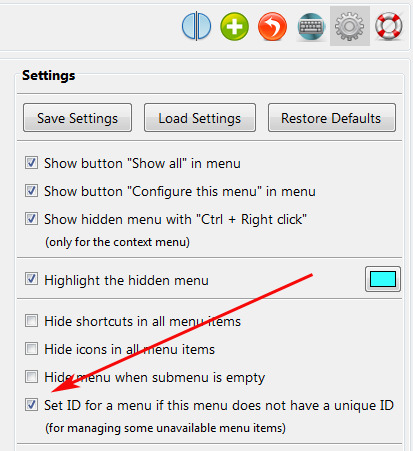 Did you try to change the MenuWizard settings "Set ID for a menu if this menu does not have a unique ID"? Ticking Set ID did not help.